We have recently announced the 18 finalists who have made it past the first round of our 2018 Millesima Blog Awards. 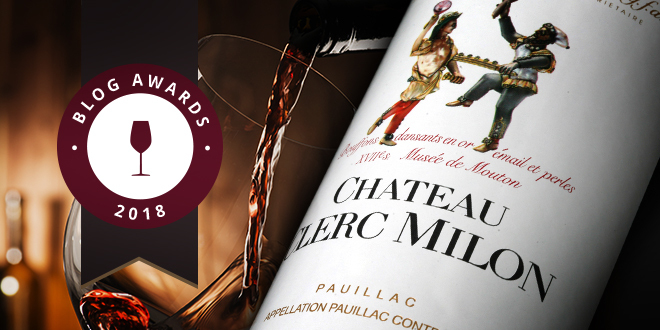 In honour of these talented writers and our official partners in the competition, we have decided to take a moment to focus on the 2010 Chateau Clerc Milon, of which each finalist will receive one Magnum-sized bottle. Let’s take a closer look at this historical Medoc chateau and what made the 2010 vintage so special. Back in the 18th century Chateau Clerc Milon belonged to the prestigious seigneury of Lafite. It originally got its name just after 1789, when the Clerc family acquired the property and combined their name with that of the Pauillac hamlet where it was located. In 1855, Clerc Milon joined the ranks of some of the Medoc’s most prestigious chateaux when it was officially named a Fifth Growth in the historical Classification of 1855. Following several decades of prosperity, the estate fell into decline as a result of the devastating effects of phylloxera, followed by two great wars. The property shrunk significantly as vineyards were sold off parcel by parcel. It wasn’t until 1970 that Chateau Milon was reborn. 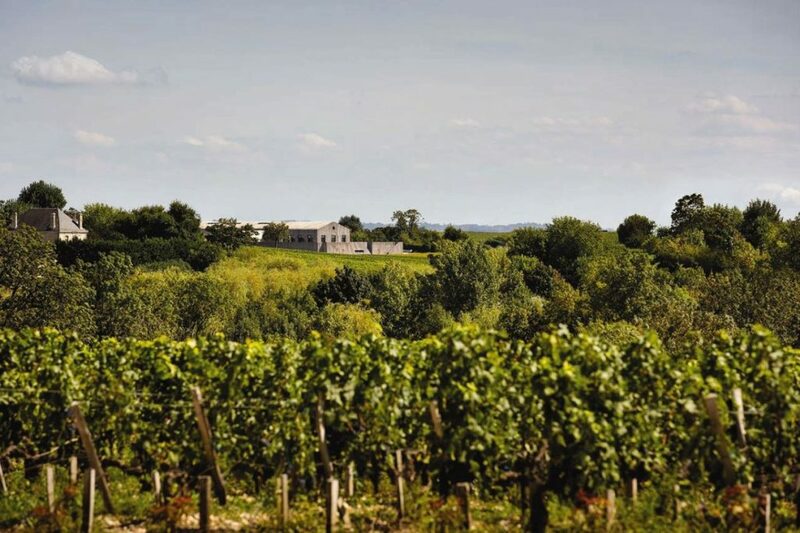 Inspired by the potential of its terroir, Baron Philippe de Rothschild purchased the property, adding it to his family’s other well-known chateaux, Mouton Rothschild and Chateau d’Armahailhac. Gradually, the property’s former vineyards were re-purchased and the winemaking practices re-thought. In 2007 a gravity-fed vat room was built, to which a 3,600 m2 complex (including a magnificent underground barrel hall, tasting room and cellar) was added just 4 years later. Today Chateau Clerc Milon sparkles amidst its prestigious neighbours, Mouton and Lafite Rothschild. 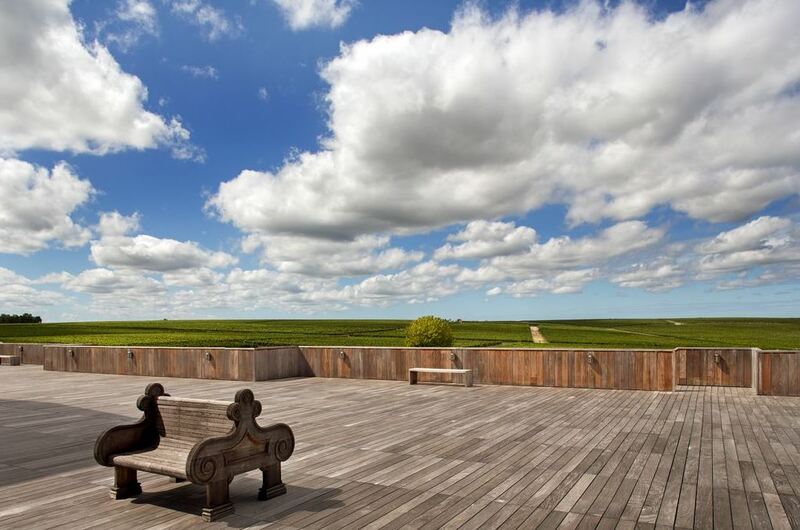 With its rectangular wooden structure, designed through a collaboration between scenographer Richard Peducci and architect Bernard Mazieres, the chateau is surely a sight to behold in the famous appellation of Pauillac. The vineyards of Chateau Clerc Milon extend over 41 hectares in the prestigious appellation of Pauillac on Bordeaux’s Left Bank. The Gironde River nearby helps regulate the temperature, protecting the vines from frost during the springtime and keeping them cool during the summer. The vineyard also enjoys ideal drainage, as the vines are planted on a slight slope, in a soil made up of 2/3 deep, sandy gravel and 1/3 limestone with a hint of clay. This combination is believed to give the wines of Clerc Milon their characteristic finesse and power. The vineyards of the property are quite old, with an average age of 53 year, and the land comprises 247 blocks of land, like an ancient Roman mosaic. The vineyards are planted with the five key varietals of the Medoc region in the following proportions: 50% Cabernet Sauvignon, 37% Merlot, 10% Cabernet Franc, 2% Petit Verdot and 1% Carmenere. At Chateau Clerc Milon grapes are picked manually and placed into 12-kilo baskets. After a careful sorting process at the winery, they are gravity-fed into one of 40 vats. The wines are aged for 16 to 18 months in oak barrels, of which 40% are new. During this time, the barrels are racked up to three times. A traditional fining process smooths out the tannins and clarifies the wine before it is bottled. 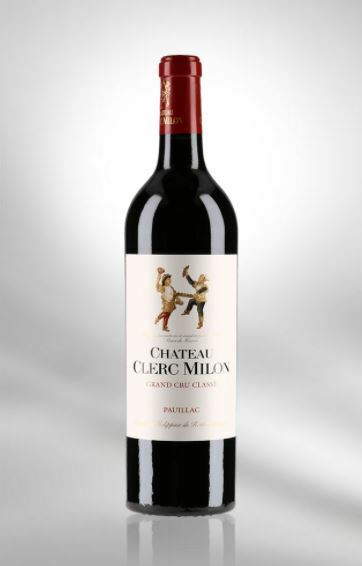 Chateau Clerc Milon takes time to produce wines that are truly emblematic of the Pauillac appellation: a powerful, tannic, fruity blend of Cabernet Sauvignon and Merlot and a subtler second wine named Pastourelle de Clerc Milon. The 2010 growing season resulted in a truly exceptional vintage at Chateau Clerc Milon. The year was characterized by dry, but relatively cool weather conditions, and a summer with no heatwaves. A rather cold winter gave way to a dry, cool spring that ended with rain in mid-June. From June 21st, the temperatures rose again and the summer heat continued into July, which was a particularly sunny month in the Medoc. The great weather at the end of July was followed by a cloudier, cooler August, which was also a very dry month. On August 21st the summer returned with hot weather during the day (up to 38 ° C on the 25th and 26th) and cool nights, allowing the grapes to start maturating properly. September 6th to 8th saw a short rainy season, helping the berries to ripen. The acidity dropped as phenolic maturation progressed slowly but under excellent sanitary conditions. The good weather later reappeared. Sunny days, accompanied by cool nights, led to the development of great quality in the grapes, as well as the synthesis of anthocyanins and aromas right in time for the harvest. After a short, slightly rainy episode on September 26th, the harvest began on the 28th under very good conditions, finishing on October 13th. The berries collected were small and highly concentrated, with a very colourful juice and good acidity. These wonderful factors of the climate – dryness without dehydration, exceptional exposure of the vines to the sun, a series of cool nights, and saving rains – led to a vintage with a truly remarkable identity. The wines of 2010 will take their place among the long history of excellent Bordeaux Grands Crus, a great sequel indeed to the 2009 vintage. The Chateau Clerc Milon 2010 displays, at the tasting, a dark red colour with a shades of violet. Very ripe black fruit and wild berry aromas are interwoven with subtle notes of liquorice and spice (black pepper), truly complex on the nose. The attack in mouth of this Pauillac red is very straightforward and full-bodied, rounding out into succulent and juicy, fresh fruit flavours. The wine’s velvety texture is consistent with its tannic structure, promising great balance and refinement in this wine. The long, heart-warming finish is picked up slightly by acidic and intense mineral flavors towards the end.